The B.B.C. 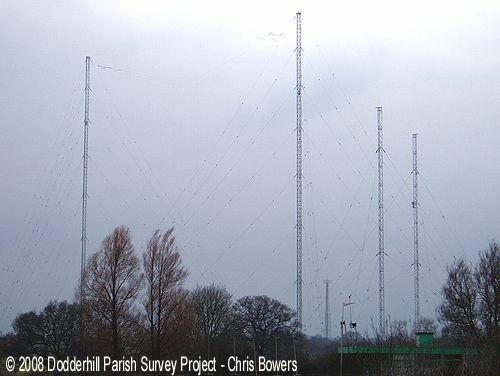 transmitting station was established in 1934, and has the most powerful longwave transmitter in England. It was sited at Wychbold because the salt content in the ground proved a considerable earthing strength for the signals. During World War II these transmitters were used to broadcast messages across Europe. 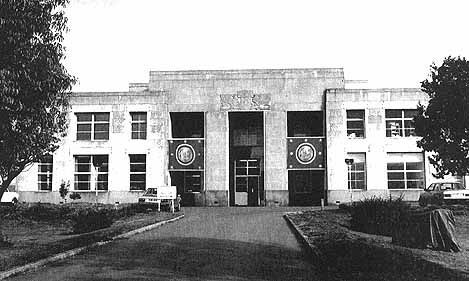 In the 1930’s and 1940’s more than one hundred staff worked a shift system, transmitting the four B.B.C. 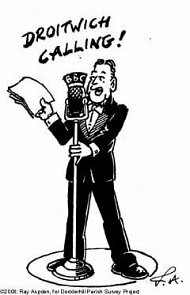 radio programmes. Now no longer owned by the B.B.C. radio 4 is still transmitted from the site together with Talk Radio and Virgin. The transmitter masts are easily seen from the motorway, especially at night when the red aircraft warning lights are illuminated. 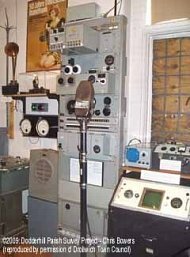 An excellent display of historical and authentic radio broadcasting equipment may be seen at the Droitwich Heritage Centre during normal opening hours. Extract from "Memories of Wychbold Before the Motorway"
The Transmitter masts are now owned by a company called “National Grid Wirelss” (formerly Crown Castle International).